2 Acts Added! FundRaiser needs funds! “Table 27” needs volunteers! The image above can be downloaded here, if you want to print up posters and put them up in your local Twin Cities comic shop, music store, comedy club, etc..
UPDATE: ONE OF OUR BOOKED ACTS HAS A NEW NAME: “CUTESYLVANIA”! 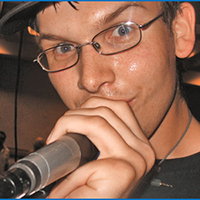 Sometimes Steve Goodie has made some really sick songs, both in the good and bad sense, but right now he is the literal type of “sick” and very much so, so sadly he has had to cancel his appearance at MarsCon this year. 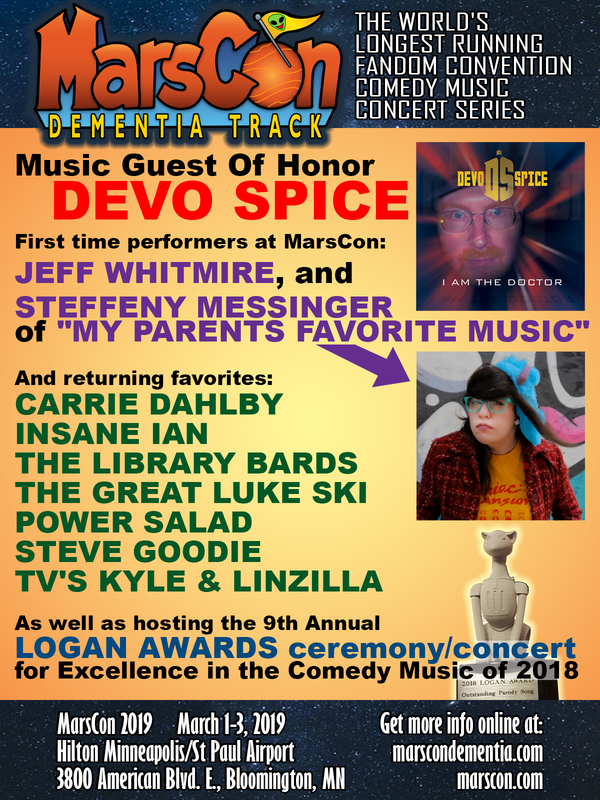 Devo Spice will fill in and perform Steve’s nominated song during “The Logan Awards” ceremony / concert. NEW ACT ANNOUNCED: JEFF WHITMIRE! With the announcement of the nominees for the 2019 Logan Awards being held at MarsCon, one of the nominees asked if he could come out and perform a concerts as well as be in the Logans ceremony, and I was able to squeeze him in! So catch new-to-MarsCon performer Jeff Whitmire on Sunday afternoon! 2019 FUND RAISER HITS INITIAL GOAL!!! Fund Raiser Initial Goal: $659 – 100%!!! Thanks so much to everyone who bought this year’s and/or previous year’s Fund Raiser albums! They are available to purchase all year round, so even if it isn’t ‘MarsCon Fund Raising Season’, please feel free to purchase them, and please tell your comedy music loving friends about it! Nearly 4 hours of live concert excerpts from MarsCon 2018, only $20! So far, only 4 of our “Table 27” Volunteers (Head of Table 27 Jered Perez, Michael Sienkowski, and John Eichenlaub) have confirmed with Jered that they are returning to MarsCon 2019 to be a part of the “Table 27” staff. With the convention 2 weeks away, and no response from the 3 other volunteers we had last year, we are looking for 2 people who would be willing to spend some of their time at MarsCon during the Dementia Track concerts helping to sell merch at “Table 27” which is right outside the entrance to the Main Stage, so you’ll still be able to hear all the concerts. In exchange for your time & effort, we can provide you with a comped weekend badge to MarsCon 2019. If you already have purchased a MarsCon 2019 badge but are still willing to volunteer, please contact us as well, and we will see what can be worked out. So, if you are willing to be a “Table 27” Volunteer at MarsCon 2019, please email me at thegreatlukeski@gmail.com, and I will forward your email to Head of Table Jered Perez. Thank you. A NEW “FuMP” T-SHIRT COMING FROM LUKE SKI! If you’ve been following my social media, you may have noticed and filled out a survey I put out regarding a possible new FuMP T-shirt I was considering having made to sell at “Table 27” at MarsCon. Well, the shirts are ordered, and I made sure to get at least one in each size of everyone who filled out the survey. They will cost $15. You’re under no obligation to buy one if you filled out that survey, but I hope you will once you see the design, which I am keeping secret, because comedy is all about surprise, people. …is already funded by the time I finally get around to giving them a plug. Well, if you’d still like to donate some gold-pressed latinum to Beth and her crew hosting the party, the link to their Fund Raiser is https://www.gofundme.com/space-oddity-at-marscon-2019! “DEMENTIA SMACKDOWN WRESTLING” BATTLE ROYAL ROSTER ANNOUNCED! It’s the Brawl in St. Paul! It’s Minne-grapple-lis! It’s Booming-Tons near the MAUL of America! Commissioner J.P. Tuesday released the line-up of this year’s event, the MarsCon 2019 Dementia Smackdown Wrestling Battle Royal! It includes first-time DSW wrestlers, Dementia Track performers Steffeny Messinger of “My Parent’s Favorite Music” and Angela Brett, regular MarsCon entertainers bellydancer Anjela and burlesque dancer Holliedazzle, and a mysterious newcomer known only as “the AquaKid”! Just who could the AquaKid be? Come see the match, and maybe you’ll find out! for Excellence in the Comedy Music of 2018. Thank you all for your patience, and I hope to see all you Luke Ski fans in the audience at MarsCon! 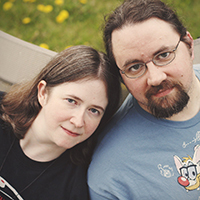 Announcing the MarsCon 2019 Dementia Track and Fund Raiser! Weekend Badge Pre-registration is $55 until January 31st, after it’s $70 at the door. Hotel Room Block special MarsCon price reservation deadline is January 31st. 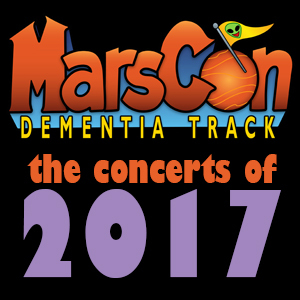 – THE MARSCON 2017 DEMENTIA TRACK FUND RAISER MP3 ALBUM! Fund Raiser hit initial & 1st Stretch goal! Currently at 18% to 2nd Stretch goal, and other updates! We hit initial goal of $500, and our 1st Stretch Goal of $800! If you’d like to help us hit our 2nd stretch goal (another $160, for which we are currently 18% of the way there), you can pick up this year’s 4-hour MP3 collection of live comedy music from MarsCon 2017 for $20 at the Shop page, you can pick up past year’s collections (including all 12 of them for just $100) at the Past Fundraisers page, or you can make a general donation by using the PayPal Donate button in the right column. – “Dementia Water Aerobics” with Kornflake returns! Sat & Sun at 10am in the pool! – StarF will be joined in his concert by his regular collaborator Mattari 2600! – The “Space Oddity Music Club & Brew Pub” room party has returned for it’s 10th year for your night time drinking and singing needs. Details on the Other Events page. At this point, most of everything is in place. So I hope you are all ready to get your comedy music mojo working in full effect for MarsCon 2018! MarsCon 2018 Fund Raiser launched, and more updates! Performers added: STARF! and THE FAITHFUL SIDEKICKS! See the performance schedule on our SCHEDULE page! Read all about them on the PERFORMERS page! 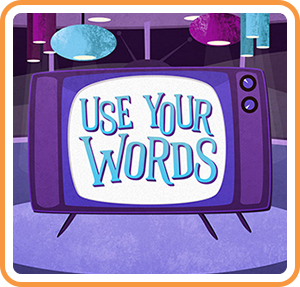 Event added: “USE YOUR WORDS” live on the main stage hosted by brentalfloss! Hosted by one of the game’s creators, our Music Guest Of Honor brentalfloss, a bunch of the Dementia Track Acts will compete for the greatest prize of all: your laughter! More events may be announced, read all about them on the OTHER EVENTS page. THE MARSCON 2018 DEMENTIA TRACK FUND RAISER MP3 ALBUM! Nearly 4 hours of live concert excerpts from MarsCon 2017, only $20! You can also order all of our past year’s Fund Raiser albums for $20 each, or a bundle of the complete collection of 10+ years of Fund Raiser albums (44 hours of content) for $100! For info on how to order those, visit the PAST FUNDRAISERS page. MarsCon 2018 Music Guest of Honor BRENTALFLOSS! Also newcomer Donita Smith and more! MUSIC GUEST OF HONOR: BRENTALFLOSS! AND MARSCON NEWCOMER: DONITA SMITH! Returning events/things include: the immense “Table 27” merch table full of CDs & swag by all our performers, “Dementia Smackdown Wrestling” hosted by Commissioner J.P. Tuesday and Duke “Flyboy” DuJour, the “FuMP Jukebox” concert, and the traditional closing “Dementia Smackdown” concert! More events to be announced. Watch the video announcement on YouTube! And please share it online! Podcasters, streamers, & radio DJs! Here’s a 60-second audio commercial! Please download it and play it on your streams & shows! Adult weekend badges are $50 through 1/31/18, $65 at the door. Single day adult badge prices are Friday $25, Saturday $40, & Sunday $25. Child (6-12) badge prices are $25 through 1/31/18, $30 at the door. Single day child (6-12) badge prices are Friday $10, Saturday $20, & Sunday $10. 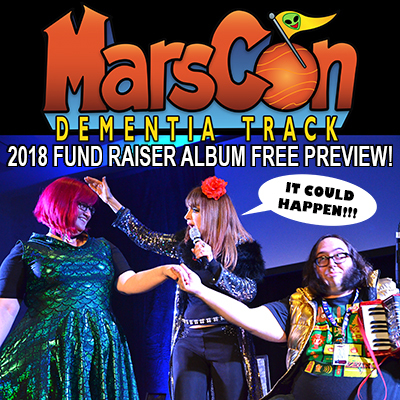 Coming soon: The MarsCon 2018 Dementia Track Fund Raiser MP3 album, featuring nearly 4 hours of comedy & music highlights recorded live at MarsCon 2017! All proceeds cover the hotel costs of the track performers! I’ll be updating this website soon with the info for the forthcoming 2018 convention. For now, get registered and get psyched for another great year of funny music! Comedy & Music Guest of Honor JUDY TENUTA! Also the Library Bards and more! COMEDY & MUSIC GUEST OF HONOR: JUDY TENUTA! AND MARSCON NEWCOMERS: THE LIBRARY BARDS! AS WELL AS: MARC WITH A C! & TV’S KYLE with LINDZILLA! Registration for a weekend badge is $65 at the door. Please head over to the Shop page and pick up the MarsCon 2017 Dementia Track Fund Raiser MP3 album! It’s nearly 4 hours of live concert recordings from MarsCon 2016, for only $20.00! All proceeds cover the hotel costs of the track performers! Fund Raiser Initial Goal: $840 – ACHIEVED! Stretch Goal: $1080 – ACHIEVED!!! Announcing the MarsCon 2017 Comedy & Music Guest Of Honor! Click the link below to watch the surprise announcement on YouTube! I’ll be updating this website soon with the info for the forthcoming 2017 convention. For now, watch the above video to find out all the initial booked acts and planned events, and get psyched for another great year of funny music! This button is for general donations. All proceeds raised cover the hotel room costs of this year’s comedy music track performers, so we can keep this track happening every year. Potential stretch goal funds raised are to cover other track related expenses personally paid for by the track Chair.